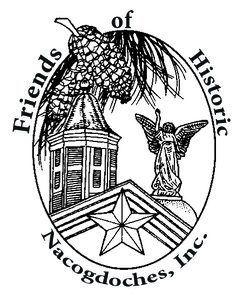 Support Us - FRIENDS OF HISTORIC NACOGDOCHES, INC.
FoHNI's annual membership year is Sept. 1 - August 31. Please join to support our projects that preserve and promote Nacogdoches' history and heritage. We have kept our memberships at the same level since 2002 to ensure that everyone can take part in preserving our past.